West Lakes Dentistry is equipped with modern dental technology to better serve you. We use the latest and greatest tools to provide a higher standard of care. We put your comfort and health first! An intraoral camera is another helpful tool we use to diagnose dental issues. It’s also great for patient education because the camera allows you to see your mouth from our view, with the images projected on a screen. This feature lets us walk you through your treatment plan and helps you visualize exactly what we’re talking about in terms of your oral health. West Lakes Dentistry uses the 3M True Definition Scanner for digital dental impressions. This method has proven to be more accurate and is often more comfortable for the patient. The predictability of this advanced technology creates the best-fitting restorations possible. 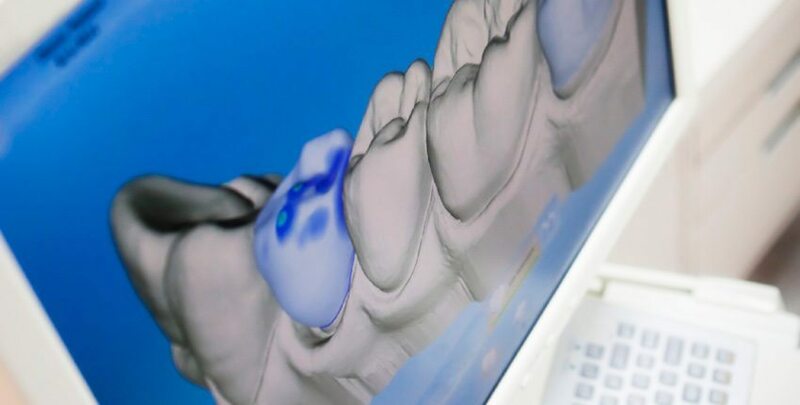 Combined with precise digital scanning of your jaw and teeth, the Drufomat machine allows us to make custom dental appliances that are specifically tailored to your needs. With this device, we can create high quality nightguards, mouthguards, retainers and more right in our office. Take advantage of this convenient offer today! Spotting and treating cavities are two of the main services we provide at West Lakes Dentistry. We are able to better identify tooth decay using the DIAGNOdent® laser detection aid. Rather than relying on the human eye to find signs of cavities, this tool has a low-intensity laser that pinpoints decay in its earliest stages. The sooner we catch cavities, the more likely we’ll be able to treat them! We often use a small filling in a minimally invasive procedure to remedy the problem. That means we also get to preserve more of your tooth! At West Lakes Dentistry, we’re always concerned with our patients’ comfort. We’re excited to be able to offer the Isolite® system, which was actually designed to help patients feel more at ease throughout their appointment. The system has a few features, including a place where you can rest your jaw and a soft, flexible mouthpiece to protect your tongue and cheeks. It also has a light that reduces shadows while we work and technology that eliminates the need for cotton balls and rinse breaks so we can provide you with more accurate, more efficient care. Air abrasion is a technique to get rid of tooth decay without any drilling. You can think of the technology kind of like a sandblaster. The air abrasion tool blows a stream of particles that rid the tooth of decay. Air abrasion can help repair chipped or cracked teeth, prepare teeth for fillings, and even remove stains or discoloration. One of its advantages is that it is a minimally invasive technique that leaves more of the healthy tooth material.